Available in 5.5", 6", and 8"
This 45? 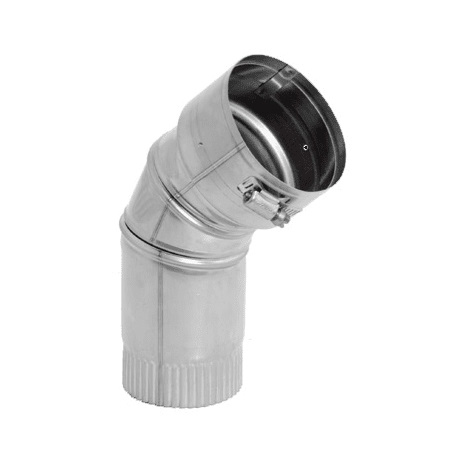 elbow is used to create necessary offsets when installing Ventinox VFT chimney liner pipes. The tee is section and adjustable for a perfect fit, and is used with the 6" Ventinox VFT system. The part is made of 316 Ti-alloy stainless steel and is available in 5.5", 6" and 8". Make sure that all chimney vent installations are planned and executed in compliance with the manufacturer's instructions and all applicable safety codes & regulations.